Jennifer: I am so grateful to have been with you on this journey since we met back in 2005. 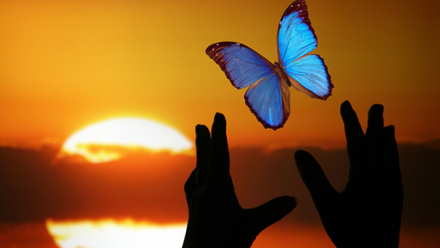 How does it feel to have just completed your first personal transformation retreat here at the Monarch Resort? Sara: I feel so energized and vibrant! I absolutely love seeing someone break free from their past and old ways of thinking and discover the unbelievable power they have within themselves to create the life of their dreams! Jennifer: I am with you. It is amazing to witness the light go on for someone! I love what you are wearing, by the way! It is classy, yet looks so comfortable, and you look radiant! Sara: Thank you Jennifer! That is precisely why I love Athleta clothing, and I am so blessed to have them as a sponsor, in exchange for representing their brand. They are all about empowering women for a life of vibrant health and adventure, and I share in mission, so I am grateful to get to travel around in these amazing, comfortable clothes, that last forever by the way. Jennifer: Can you describe for our viewers considering this retreat, what happens when they experience this for themselves? Sara: So many people are stuck in a mental prison of false beliefs that they has, in most cases, been building from very early on in their lives. What happens here is an awakening to our true self. Imagine when we are born we are a stunning, glistening diamond beaming with light. One of the first words we hear, even as a tiny infant is “No.” Our parents are well-meaning, but we start to believe the limits that are put on our sense of exploration and adventure. We start school and a teacher tells us we aren’t good at something, and we believe them. We might get chosen last for a team, and believe no one likes us. We experience rejection, betrayal, disappointment. If we choose to believe lies about who we really are; who our Creator designed us to be, it is like adding layers of cement over our brilliant design. Wh en you come to our retreat we help you discover the power within you to break through the cement that has weighed you down all your life, so you can spread your wings and live the life you have always wanted. Jennifer: It really is incredible. I am so blessed to be a part of this with you and our amazing team! Sara: There really is no other work like this. As Zig Ziglar said, you can have anything in life you want, when you help others get they want. It is just fascinating to see people discover who they were truly created to be and what their life mission is. I am just so grateful. It feels as though I was just a part of making this world a much better place by releasing these new rejuvenated souls to go and carry out their mission!